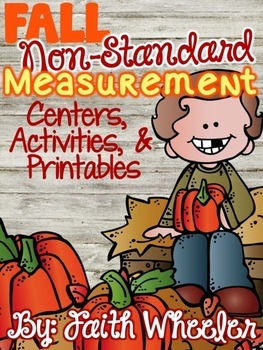 This Fall Non-Standard Measurement Packet was created to cover a variety of centers, activities, and printables. 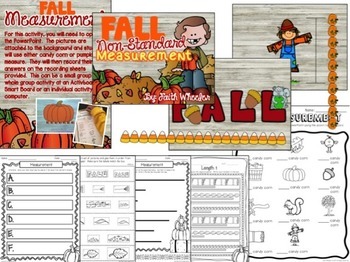 Each center and activity has two to three options so that you can use them for multiple centers or review for more than one week. 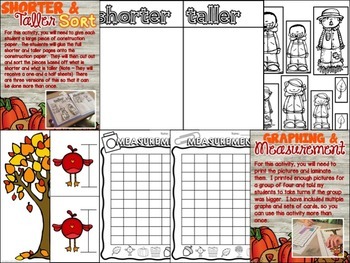 I also tried to make it where there will be a minimum amount of cutting and where you will not need many supplies. Most activities that are in color are also available in black and white. If you have any questions please ask me on the questions section of TPT or email me at PRESRoom116@gmail.com. 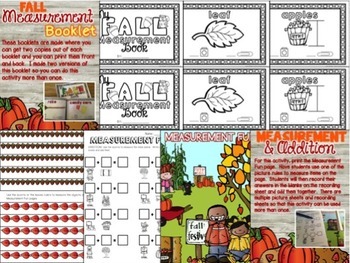 Also, check out 1st Grade Fantabulous for freebies and ideas for your classroom.